Feeling a little homesick for the old country? Not up for a trip oversees? Catch some international flair here in the US. We have Alle Sachen Bayerisch just for you! Nestled in the foothills of the Cascade Mountain Range, on the sunny side of Washington State, is a very charming Bavarian Village! Complete with bratwurst & sauerkraut. Maipole: 96 foot handcrafted traditional Maipole and set in town square. Bier Wagon: Courtesy of Projekt Bayern each weekend from spring thru fall, our lederhosen town folk greet you downtown with old world charm. You’ll want your picture taken with them! Bavarian Architecture: Enjoy Alpine Bavarian design set against striking mountain peaks, you’ll swear you are in Bavaria! Murals: Throughout our village, a full day’s journey take them all in! German Beer: German beer imported, fantastic beer made locally, Prost! German Restaurants: Wienerschnitzel and Sauerkraut or an outdoor beer and brat garden! Glockenspeil: Listen to the charming tunes as the glockenspeil opens, every 15 minutes and the children dance around. Carillon Bells: Enjoying the Glockenspiel? Head east toward the Festhall and take in the ringing of the Carillon Bells and the charm of our German Fountain. Nutcracker Museum: Take the trip, venture through the largest collection of historic and international nutcracker collection around.Old Fashioned Photos: You and your friends can dress up in our best trachten, dirndls and lederhosen and capture your visit forever! The Hills are Alive: Each summer experience summer theater’s fantastic musicals, outdoors, under the stars! Putting Course: Either miniature bavarian themes golf, or a putting course complete with goats, Bavarian fun! Morning Alp Horn Serenade: Enjoy an Alp Horn greeting each morning at 8:15 & 9:15am at the Enzian balcony. 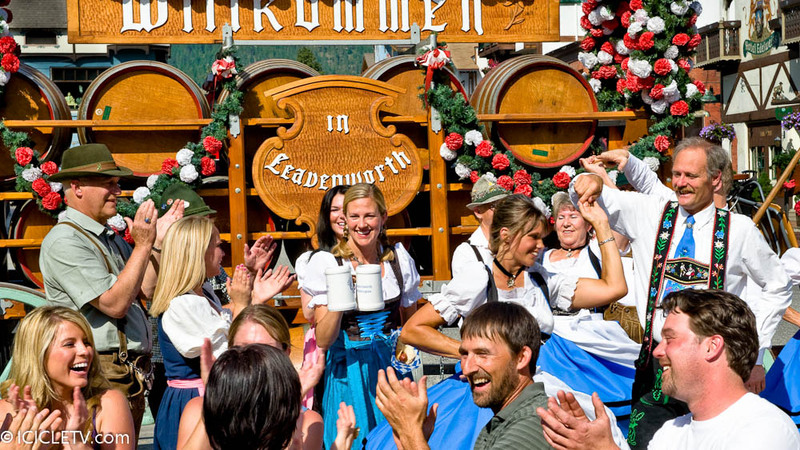 German Festivals like Oktoberfest, Maifest, Accordion Celebration and Christkindlmarkt!